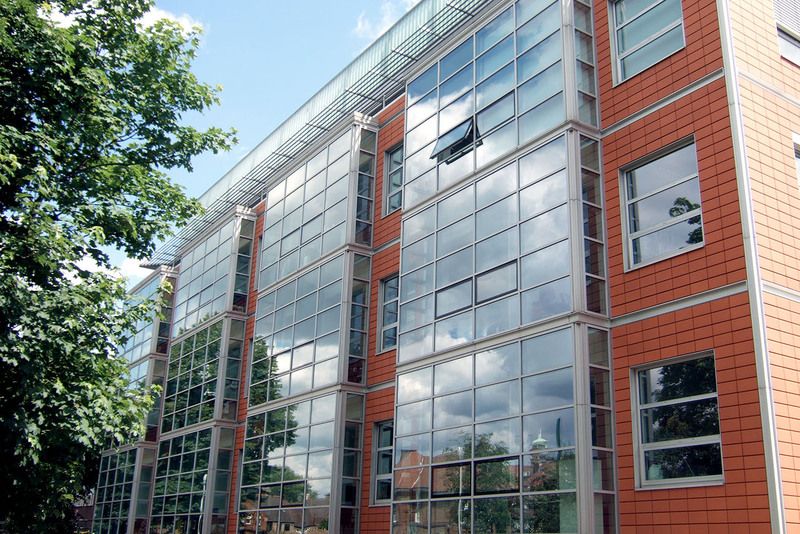 Sykes & Son Limited were appointed as Principal Contractor to carry out the refurbishment of the Clinical Services Unit (CSU) at KCL’s Denmark Hill campus. This £1m project was carried out in two phases of work with Phase 2 handing over in March 2017. The space has been transformed with the addition of a seven-bed mock ward for medicine and nursing and midwifery students to train and apply their skills. 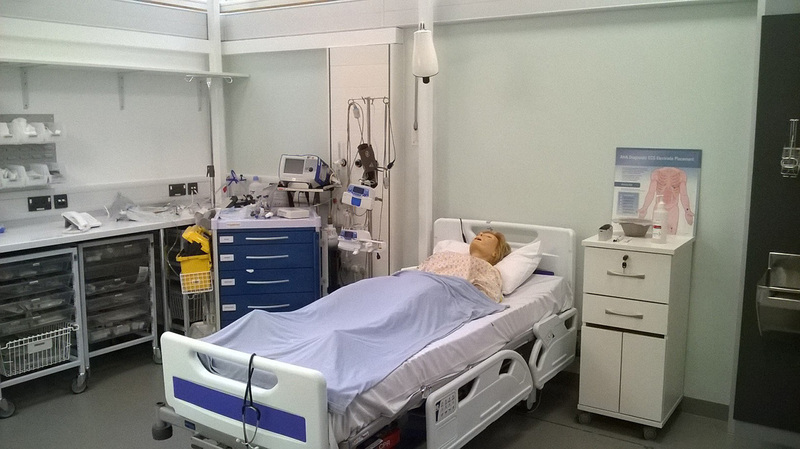 The mock ward comes with simulated medical gases and high-quality cameras for lessons and workshops to be recorded. 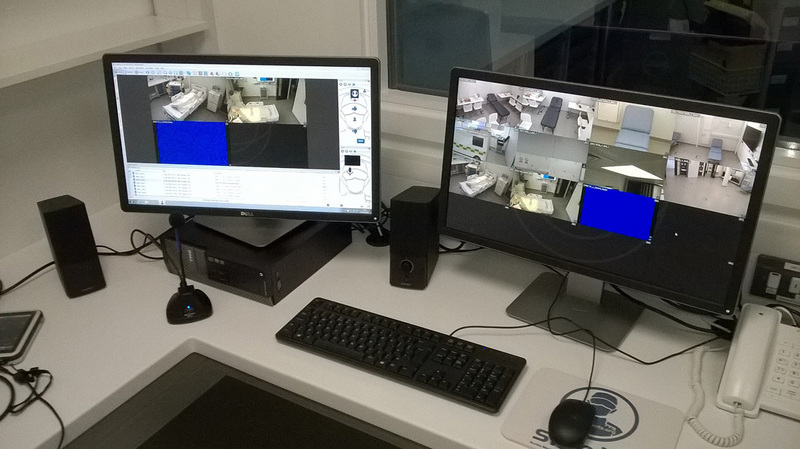 The works consisted of converting an existing Estates Department into new Clinical Skills and Simulation facilities. This involved stripping out existing fixtures, finishes and services, breaking up the existing floor slab and screed to install new underground drainage, and floor boxes/containment system. The simulated medical environment was fully fitted-out with high quality hygienic finishes, and metal suspended ceilings. New mechanical and electrical services were installed throughout, including a new VRV ventilation system, compressed air/vacuum and extensive power and data. The audio-visual installation included a specialist Scotia Medical Observation and Training System. 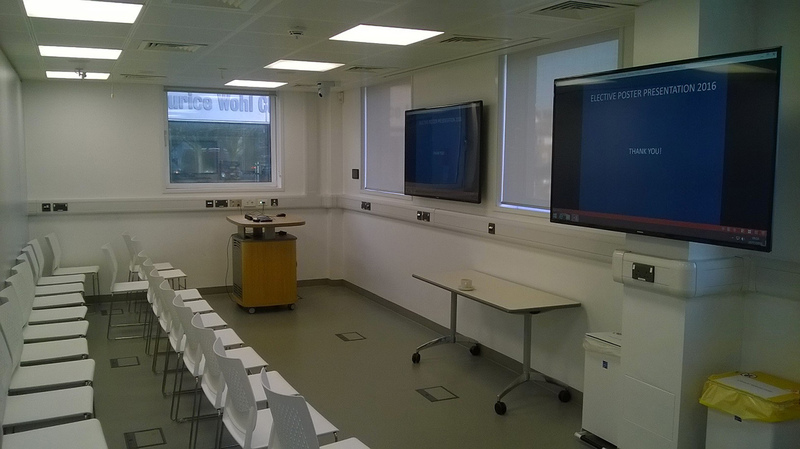 The AV was designed to allow KCL to deliver more technology enhanced learning to create a better student experience.